This book is an excellent guide for people who want to know everything there is to know about the Paleo Diet. This Book is the Ultimate Guidelines for a beginner. The Paleo diet is a low carb diet, with a high amount of protein and a lot of vegetables. This diet is sometimes referred to as the â€œCaveman Dietâ€ because it is basically anything that was eaten by a caveman. This diet is so effective because it forces your body to burn fats for energy, instead of glucose from carbs. If your goal is to lose weight, keep it off, and increase energy levels, you need to eat all natural, non processed foods like the caveman did. The caveman didnâ€™t have the technology to grow grains or make dairy products, so why would we eat them?.Adapting the caveman diet will not only help you live a healthy and fulfilling life but you will also be able to cut fat and look the way youâ€™ve always wanted. 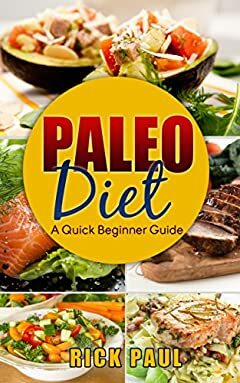 This book will provide all information needed to implement the Paleo Diet in your life.I will discuss about the Paleo,the benefits of Paleo,What you can eat when on a Paleo diet, What Food Should You Avoid.I will help you implement the Paleo Diet.